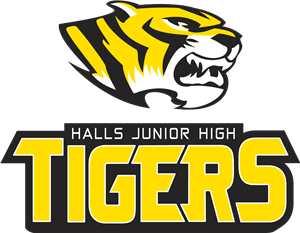 We, the students, parents, community, faculty and staff at Halls Junior High, commit ourselves to work together to provide a positve, safe, and respectful school environment that encourages learning, cooperation, and compassion. To provide each child with the education and the social skills needed to be productive citizens. Our Students will experience high academic achievment, be prepared for post secondary education or the workforce upon graduation, and have a positive impact on the growth and development of Lauderdale County.